Holocaust and the Holocaust survivor have gained stature as moral symbols in American culture. From early teleplays to coverage of the Eichmann trial and the Holocaust miniseries, as well as documentaries, popular series such as All in the Family and Star Trek, and news reports of recent interethnic violence in Bosnia, Shandler offers an enlightening tour of television history. Shandler also examines the many controversies that televised presentations of the Holocaust have sparked, demonstrating how their impact extends well beyond the broadcasts themselves. 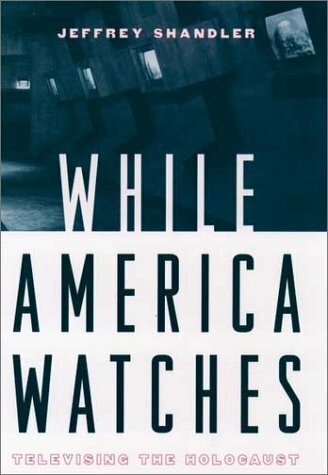 While America Watches is sure to continue this discussion--and possibly the controversies--among many readers. Hasia R. Diner is the Paul S. and Sylvia Steinberg Professor of American Jewish History in the Skirball Department of Hebrew and Judiac Studies at New York University. She has taught American Studies at the University of Maryland, College Park, and at Johns Hopkins.Jeffrey Shandler is assistant professor in the Department of Jewish Studies at Rutgers University.